Launched in 2015, making it one on the newest bingo sites to grace our screens, the retro designed Bingo Extra is a fantastic addition to the bingo scene. Bingo extra is one of the few sites running the incredible Daub software, alongside Lucky Pants Bingo and Kitty Bingo. Developed by Daub Alderney, part of the Stride Gaming Group – the original owners of Wink Bingo and Posh Bingo, the software is unrivalled and a breath of fresh air for those who’ve not tried it. Bingo Extra comes with a couple of new player offers to get you in the mood and sweeten the deal. Although there’s no free to play newbie window, you’ll find you’ll be more than welcomed with the huge deposit bonuses available at the site. 1. Choose 400% bingo bonus or 100% slots bonus on your first deposit! No free rides, but with a 400% bingo bonus – do you really care? That’s right, make your first deposit of £10 or more to receive a whopping 400% bingo bonus or 100% slots bonus. How’s that for a welcoming? There’s no Bingo Extra promo code, just hit the ‘Claim Now‘ button and you’ll be right on your way. 2. 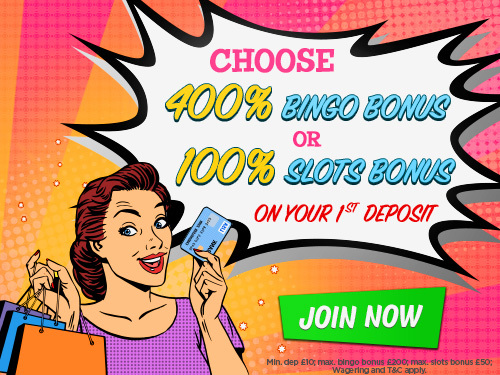 Get 100% bingo bonus on your second deposit! Enjoying using the Daub software? Us too! But you know what’d go great with it? Bonuses for your second deposit. If one wasn’t enough how about a second deposit bonus? When you top-up £10 with Bingo Extra you’ll receive another 100% bingo bonus to see you through. Top up £10 and receive £20 – you’ll feel like you’ve robbed a cash machine! 3. Get 150% bingo bonus on your third deposit! One. Two. But how about three? Get a third bingo bonus on your third deposit, a 150% bingo bonus to be exact! That’s a little better than the second deposit, but equally as satisfying. 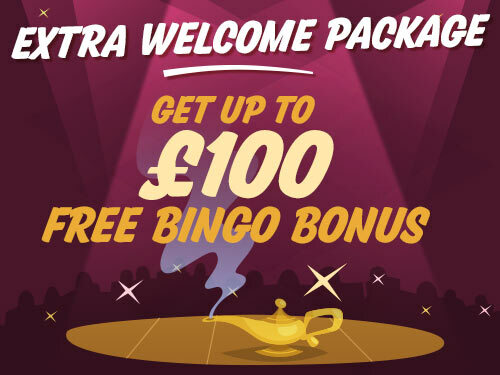 Top up £10 and you’ll receive £25 with the Bingo Extra extra welcome package! Fancy some daily free spins? Simply deposit and wager to receive free spins, every single day, for the next 7 days – that’s some quality spinning action. Spins not your favourite? How about daily free cards? Simply deposit and wager to receive free cards, all worth 5p each, every single day, for the next 7 days. Bingo is taken care of in 90 and 75 ball variations with a little bit 5 line to keep things fresh. Looking for a little bit extra? Take a look at a wide variety of slots, scratch and arcade games as well as a selection of table and card games to match. Take your picks from Hold the Safe, Lucky Falls and DJ Wild Stud Poker to name only a few – there’s a slice of everything available at Bingo Extra! There unfortunately is not a mobile and tablet app available at Bingo Extra for either iPhone/iOS or Android. However, the mobile responsive site will run perfectly through your phone or tablets browser, meaning bingo can be available wherever you are. Simply log into your Bingo Extra account from the website and you’ll be greeted with easy to use and self-explanatory site on your mobile devices. Wagering with Bingo Extra can be a confusing business, but you should always read the terms and conditions before signing up. Information written at the time of posting may also have changed, so always check to keep up to date. Deposits and withdrawals can be made with numerous methods (as listed below) to make it as easy as possible to bank with Kitty Bingo. A minimum deposit of £10 is available but a maximum withdrawal number of 10 per day is also imposed with minimum withdrawal of £10.